Ultimately, you want your story to end up here! As a journalist my entire life, I’ve can tell you I’ve been asked one question more times than any other; What makes a story “newsworthy”? In other words, people are always wondering what constitutes actual news? I’m sure that to many, the process of determining what is news and what isn’t can seem like a magical, mystical ancient ritual known only to the chosen few huddled over computers in poorly lit newsrooms. In fact, it’s nothing like that at all. Believe it or not, there is an actual process that takes place, first on an individual level, then on a group level, and then again on an individual level. In order to understand how stories are chosen for broadcast, you first have to understand the structure or hierarchy of a newsroom. While this may vary from outlet to outlet and even from broadcast to print, this is, in essence, the breakdown of most newsrooms. 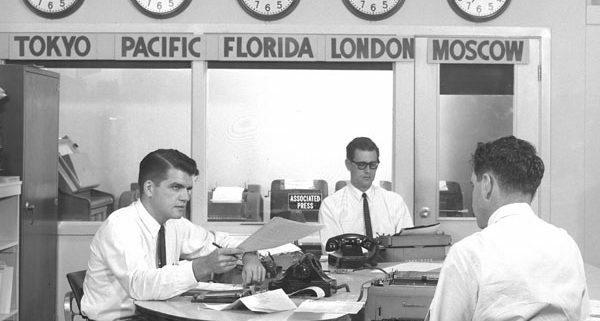 Assignment editors are generally the first line of defense for a newsroom. Most releases and story ideas are filtered through them first. They read hundreds of emails and answer countless calls all day while at the same time, keeping their eyes and ears focused on banks of scanners in order to catch any breaking news that might happen. The stories that make it past the AE’s get passed on to the potential story folder where they are discussed by reporters, producers, photographers and other editors during the daily news meetings. 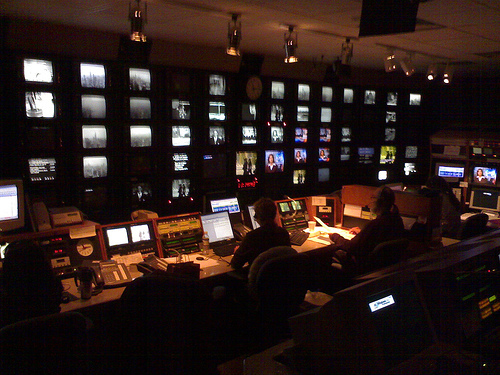 A handful of stories are agreed upon by producers and managers to be included in each broadcast while other stories may end up in only one broadcast. Occasionally, a story will find its way to a producer without going through the meeting. At this point, the producer responsible for his or her specific broadcast will decide if that story is worthy of being included in the rundown. 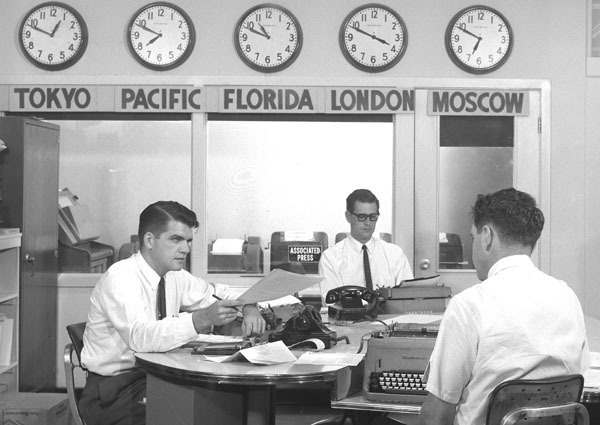 In many cases, stories are pitched by individual reporters or others in the newsroom during the meetings. Eventually, the producers head back to their computers tasked with choosing which stories to include in their rundown and in which order they will run. But the question remains, HOW do they decide what to include? How do they determine if a story is really news? Timeliness – This seems simple enough. If a story or event has just happened or is happening “right now”, then it is timely. If you are pitching a story that happened a week ago, or something that is happening two weeks from now, it is not timely. The more timely the story, the more likely it is to be news. Proximity – Remember this, all news is local. The majority of journalists are reporting on a local level. This means they are reporting for an audience that cares about what is happening in its own backyard, so to speak. The audience matters. That’s why a car crash in Denver matters more to local viewers than a worse crash in Ohio. Your story has to be local, or must have a local tie-in to a national story in order for most newsrooms to pay attention to it. If you’re pitching a Colorado Springs story to Denver newsrooms, it is much less likely to be picked up than if you pitched it to Colorado Springs newsrooms. Impact – Who does this story impact? Remember that the greater number of the audience that is impacted by your story, the more it is newsworthy. For instance, while a car accident may be newsworthy, it doesn’t compare to a water main break in the suburbs. Unless the accident shuts down the highway, the water main break impacts more of the audience. This is one of the reasons why weather gets so much attention. A snowstorm impacts everyone in the audience. WOW Factor – This is where stories about celebrities or sports generally fall. This category could also be called “uniqueness”. How unique is your story? If your story is similar to other stories that have run recently, chances are your story isn’t going to be picked up. The more unique you can make your story, the better chance you have of seeing your story on TV or in print. Of course there are other elements that go into the news decision-making process. Things such as quality of video (hey, we live in a visual society now), national news tie-in’s and whether or not a story has “legs” or multiple levels of storytelling. HOW you tell the story matters as well. Does your story have a main character that can be relatable to the audience? Does it have a protagonist? A conflict? A resolution? All of these things are part of the process. But to start, if you can start to think like a journalist and consider the four categories mentioned above when creating your story pitch, you’ll find that your stories will have much more success in being picked up by local newsrooms. https://www.staskoagency.com/wp-content/uploads/2016/12/b8258-oldnewsroom.jpeg 425 600 Stasko Agency https://www.staskoagency.com/wp-content/uploads/2018/03/stasko-logo-dark-sm.png Stasko Agency2013-03-01 18:51:002018-03-07 06:48:00What Is News?